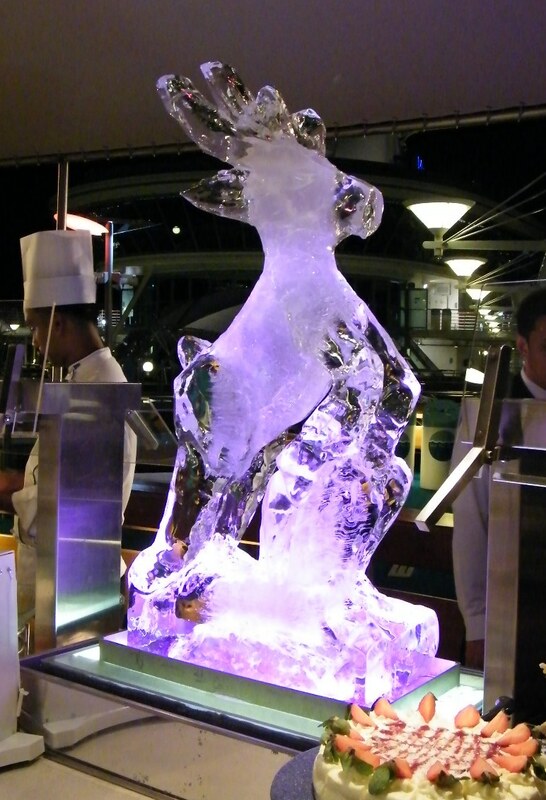 One of the best lure for this cruise is the fine dining food. The "Romeo & Juliet" restaurant serves the best food. 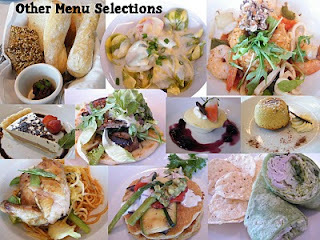 Every meal has different menus. 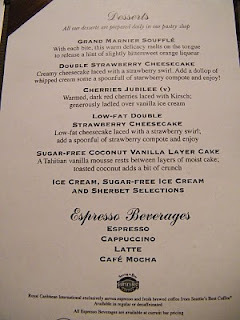 Desserts were ordered separately after the main course. The service staff are very professional. They also took care of the children well. Being a proper fine dining place, they prioritise the ordering and serving of food to the children first, followed by females, then the males. So be prepared to be treated well damned well. 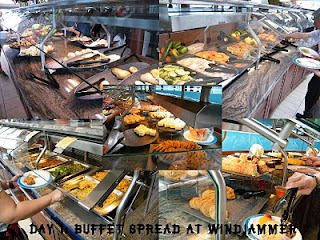 Our breakfasts were usually taken at Windjammer cafe which was buffet, except for the last day where my sisters and I decided to have a-la-carte breakfast at Romeo & Juliet. 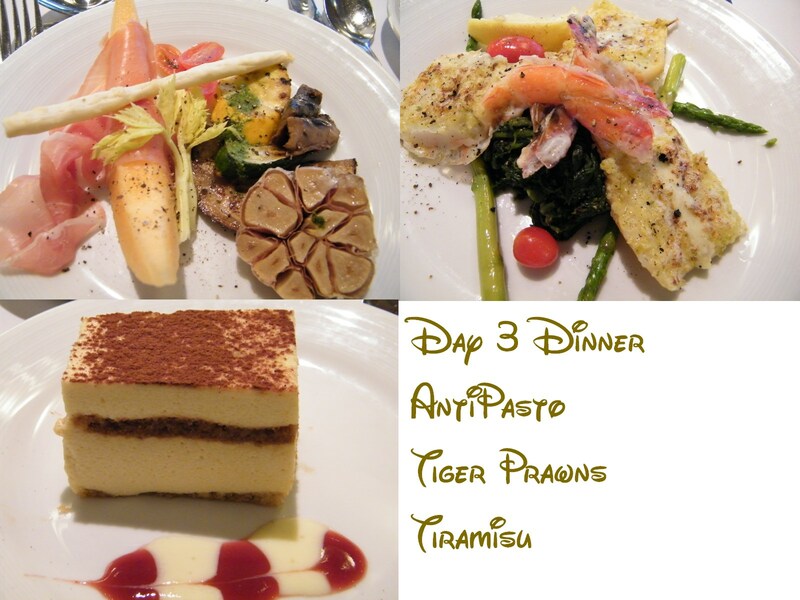 On day 2 and 3, high tea were served from 3-5pm. 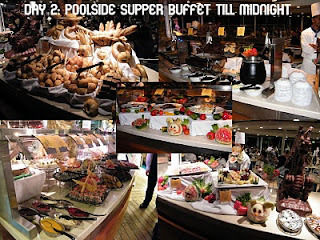 There were also snacks available all day at Solarium, which is in the indoor pool. The fries were very very good! Our dinners were taken at Romeo & Juliet. 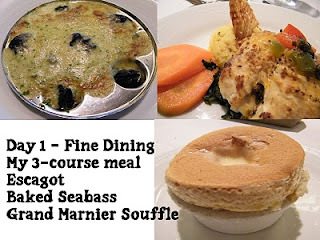 Yes, they only have two proper dining venues. However, we were not complaining. Their foods were all prepared with pride. There is a paid-cafe, which we didn't bother to visit. There were two timings for dinner seating - 5.45pm and 8.00pm. We took the earlier slot. They will ensure that all are seated before being served. Day 3 lunch was at Windjammer, as there was Poolside barbeque, which can be brought into the cafe. 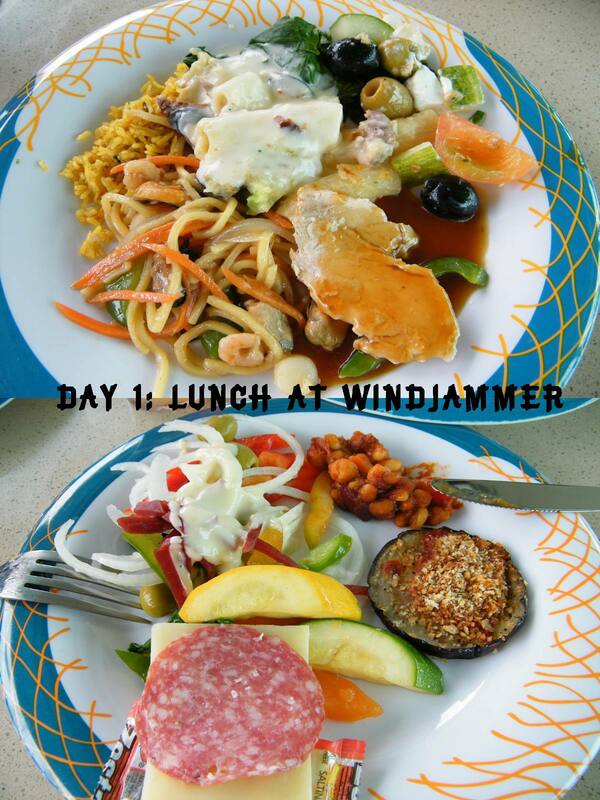 We didn't take much during the lunch, and opt for some light snacks from Solarium and Windjammer cafe in the afternoon. The good thing was that we were able to bring our foods to where we were, which was usually at the pool. You can imagine, seating by the pool, wearing your sunglasses, getting some light tan or with a book on your hand, with some fries, taco chips and drinks beside you. Isn't this heavenly? 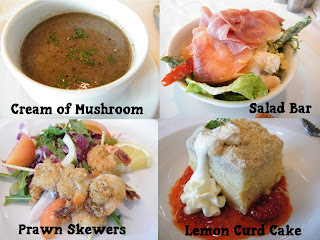 I shall now tempt you with the foods we had. Day 1: Fine dining at Romeo & Juliet (R&J). 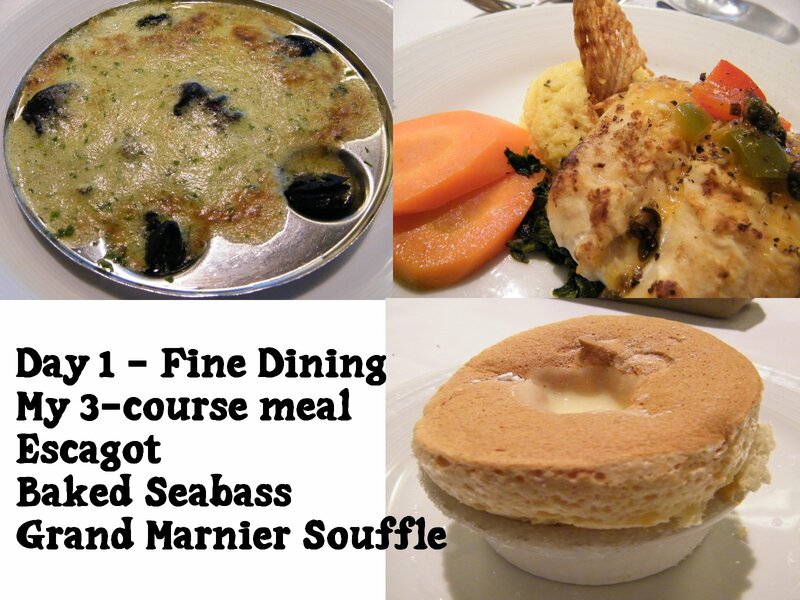 3-course meal. 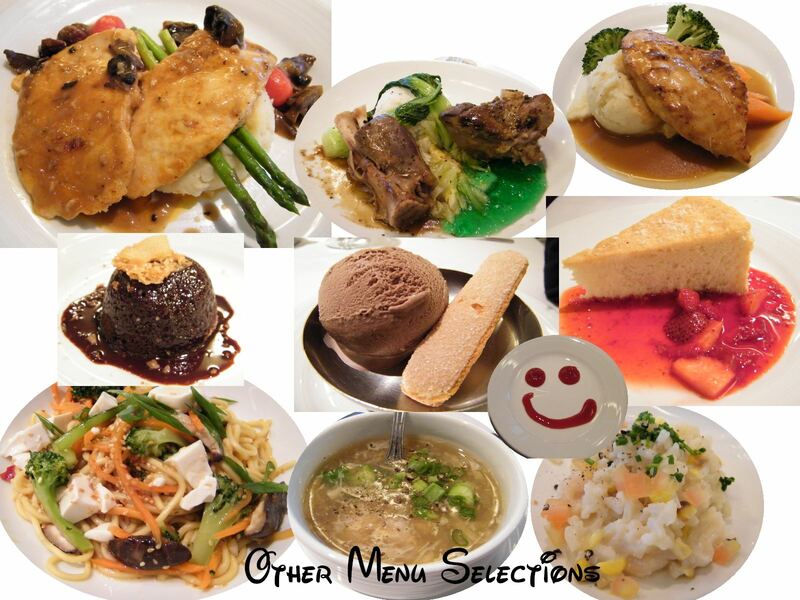 You get to choose your appetiser, main course and dessert. Actually, you can choose anything you like, two appetisers or two desserts, if you can finish them. This was my choice. 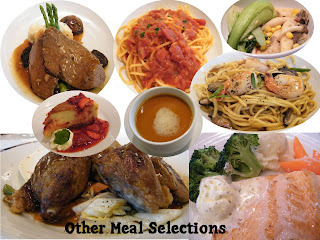 Other selections by my family members-lobster bisque, duck drumstick, noodles, salmon etc. 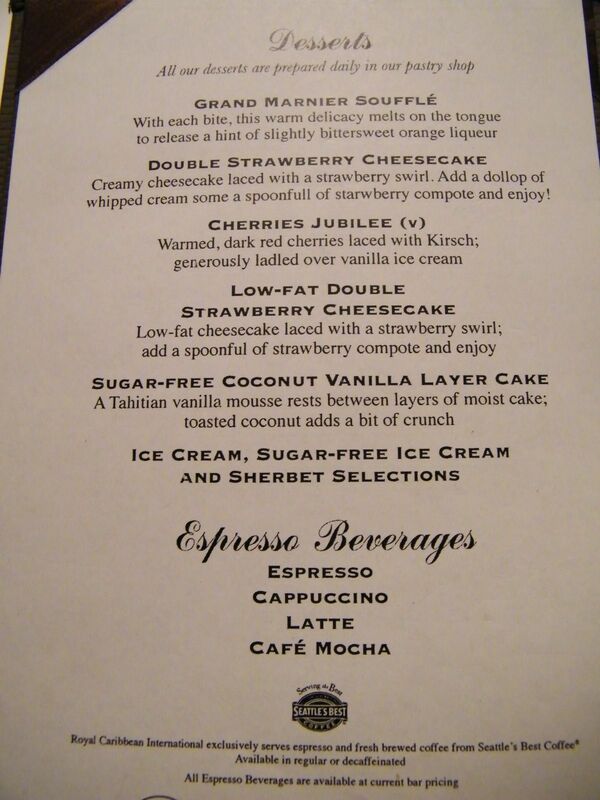 A sample of the dessert menu. 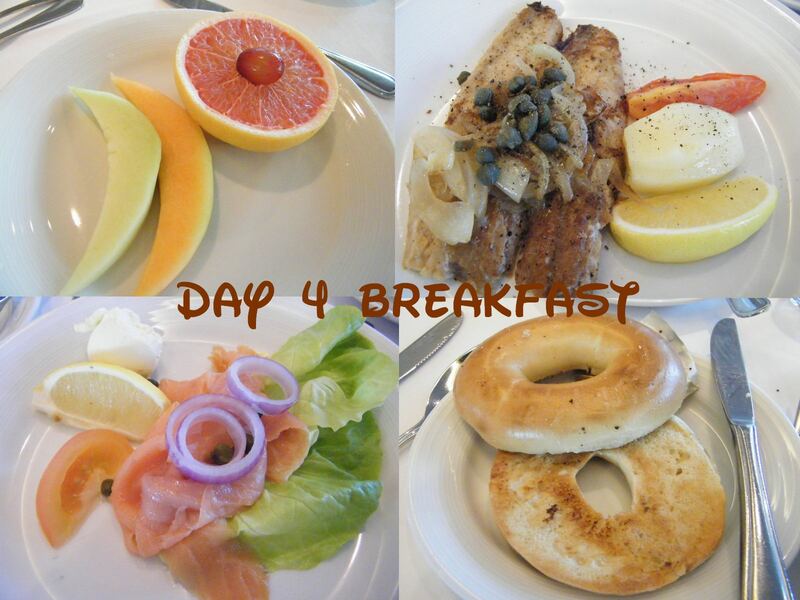 Day 2: Lunch at R&J. My choices. 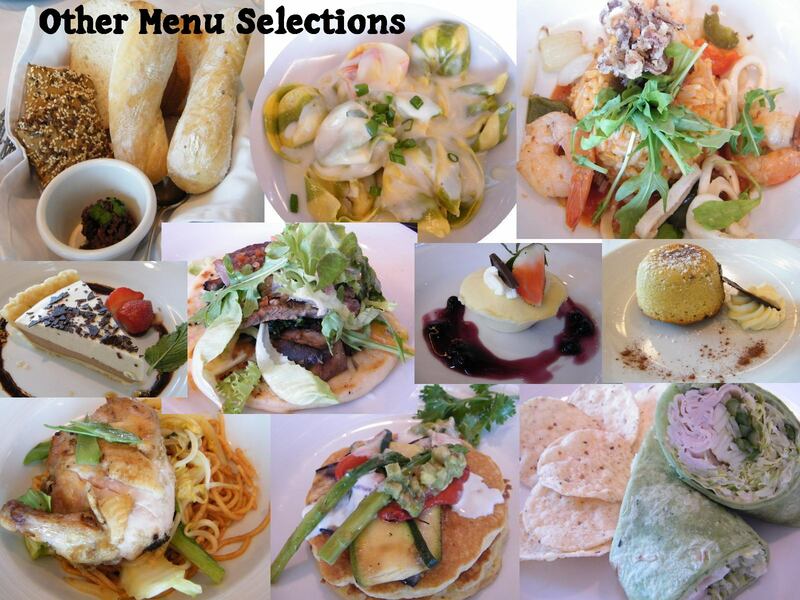 Other menu selections include cheese pasta, beef burger, spinach rolls, white chocolate cheesecake, peanut tart, almond chocolate cake etc. 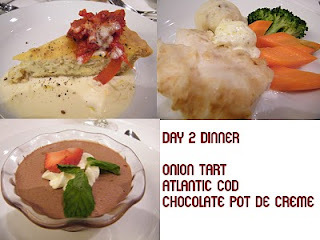 Day 2: Dinner at R&J. My choices. Other selection include crab & egg soup, shanghai noodles, pork chop, cherry in kirsch cake, strawberry pavlova etc. Day 2: Poolside supper buffet from 10.30pm till midnight. 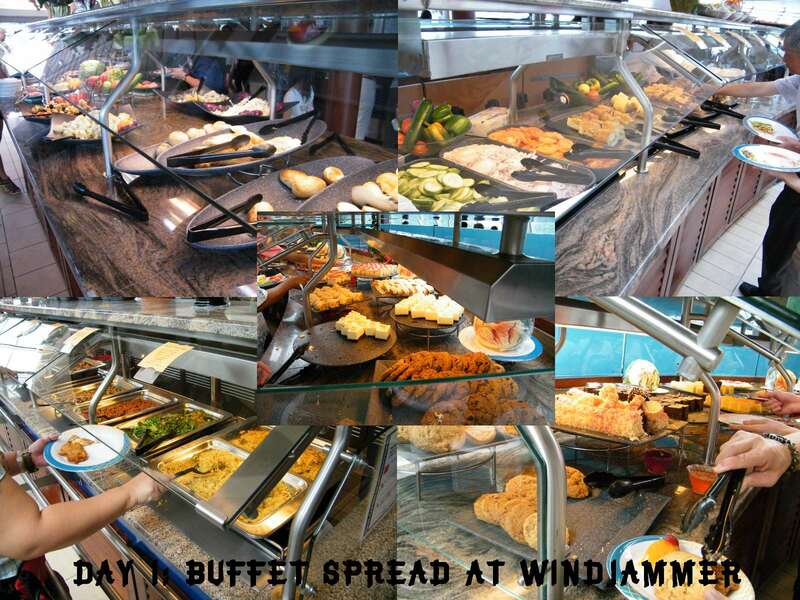 The spread was good too! Day 3: Dinner at R&J. These were what I had. 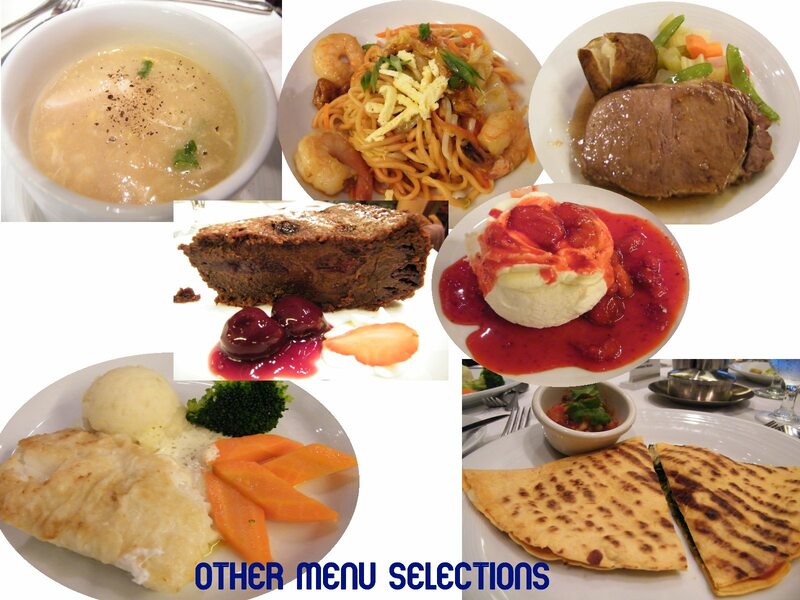 Other selection include chicken breast with herbs, northern lamb shanks, chicken marsala, scallop salad, warm chocolate cake, angel cake and chocolate ice cream etc. Day 4: Breakfast at R&J. 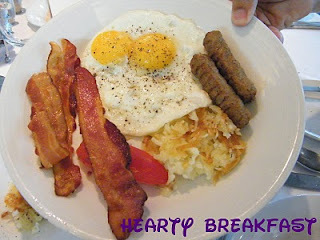 My sumptuous breakfast! I had the cheese omelette too! 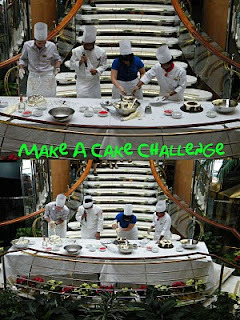 During one of the morning, there was an activity on "Make a cake challenge". I was being "volunteered" by my sister to be in the challenge. 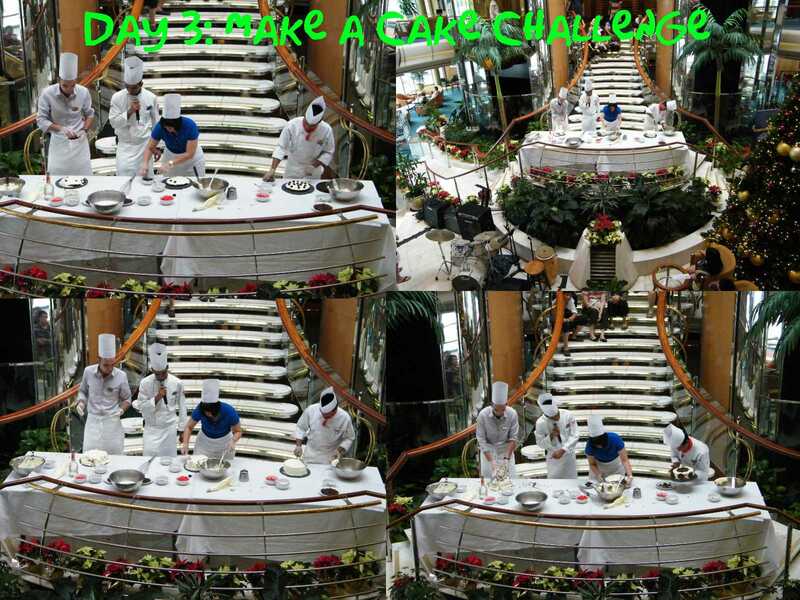 I was pretty nervous to be on the centre stage, together with two pastry chefs from the restaurants. They were actually very nice. We were to frost the Blackforest Cake within 20 mins. The compere, Paul, who is also the Cruise Programme Director was really funny. I think he purposely frosted the cake horribly and created lots of jokes in order to make the participant more at ease. I was being guided by the chef on my left. In the end, I think I did quite alright for the frosting. Afterall, I'm just practicing what I had learnt. 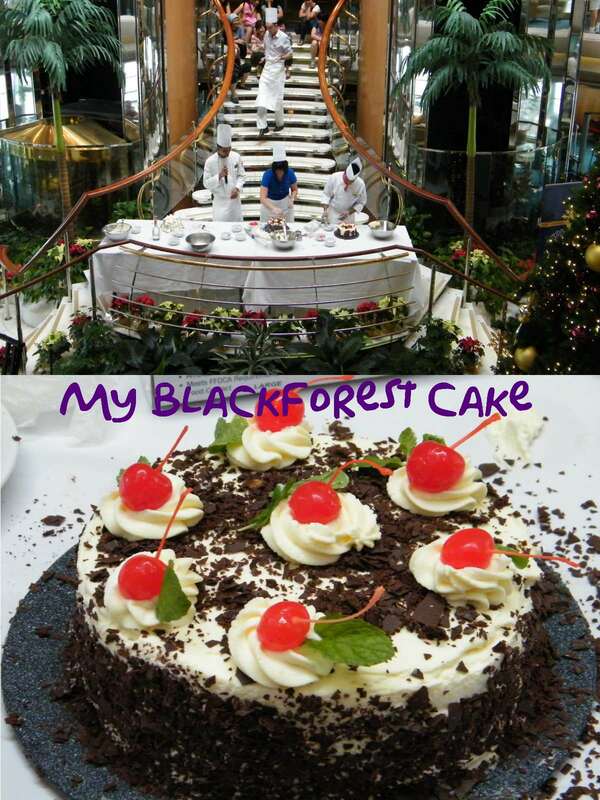 After we have completed the frosting, all the audience were treated to a slice of the pre-baked Blackforest Cake. 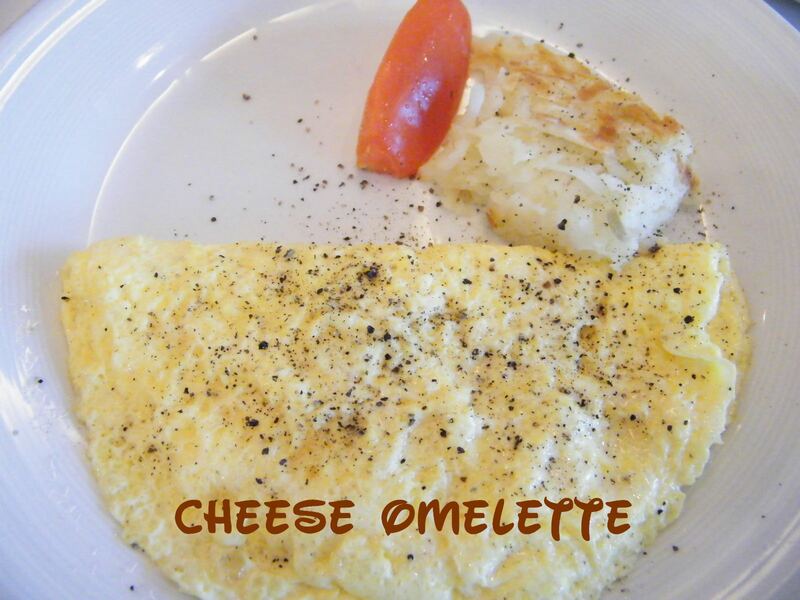 It was really yummy! I had a truly wonderful time! The company I was with, made a lot of difference to this wonderful holiday! 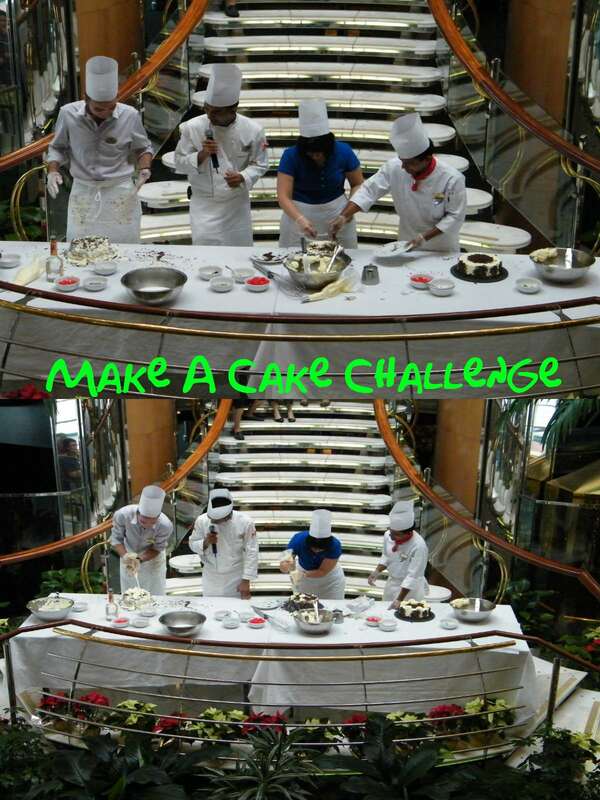 Must be fun to participate in cake challenge and the food looks great! Jane, the cruise looks so diff from Star Cruise! I am sure I will be enjoying too... 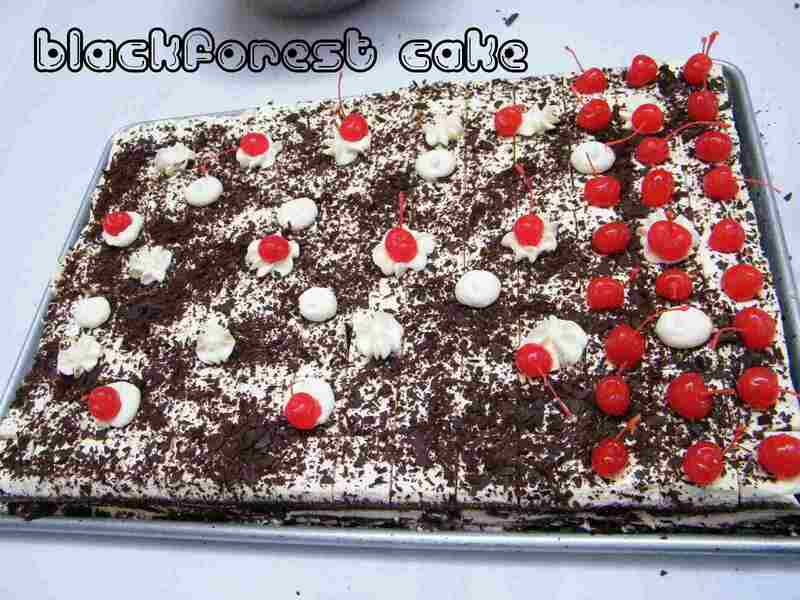 Your blackforest cake is so pretty, wish to have a slice. Yes, my children enjoyed themselves very much, and so do I! You have been onboard Titanic? Hahaha...The centrum is sure very grand with its stairs! Your cruise journey seems very interesting! 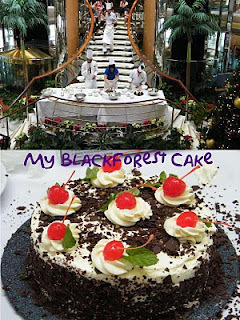 Somemore, you got chance to join the cake challenge on board hahahah .... your blackforest cake definitely looks perfectly decorated! Wishing you & your family merry christmas & happy new year!